The Securities Appellate Tribunal today upheld a 110 million rupees ($1.83 million) penalty imposed on a unit of Reliance Industries Ltd (RELI.NS) by the Securities and Exchange Board of India (SEBI) in a seven-year old insider trading case. This was the largest ever fine imposed by SEBI. A full bench of the SAT, headed by presiding officer JP Devdhar, said Reliance's application is not maintainable because the new consent mechanism norms are applicable with retrospective effect. 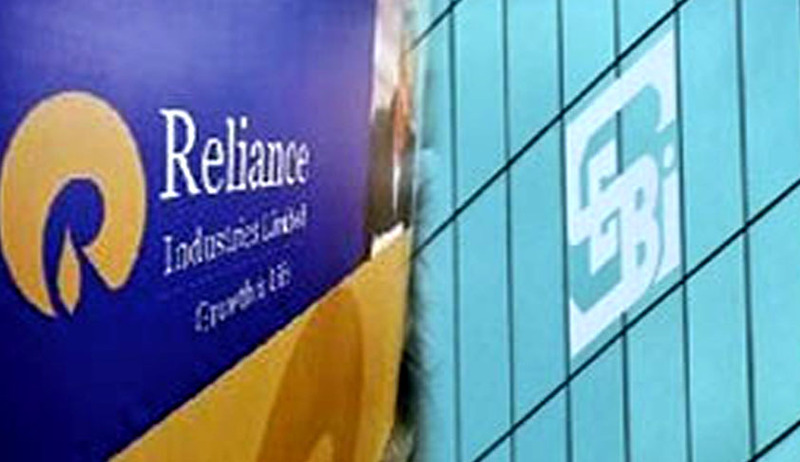 RIL sought to challenge the January, 2013 order of Securities and Exchange Board of India under which the consent applications filed by RIL for settlement of disputes was dismissed, without giving it any opportunity to present its case. The question to be considered in this appeal was whether SEBI was justified in rejecting the consent application filed by the appellant as not consentable under paragraph 1(ii) of consent circular dated May 25, 2012. The appeal was fully heard on January 6. However, before the order could be pronounced, SEBI framed SEBI (Settlement of Administrative and Civil Proceedings) Regulations, 2014 with retrospective effect from April 20, 2007. It held that since Section 15T(2) is deleted and Section 15JB(4) is inserted to SEBI Act with retrospective effect from April 20, 2007 by Ordinance No. 2 of 2014 which bars appeal against any order passed in consent proceedings, we have no option but to dismiss the appeal. However, the Tribunal did consider the case on its merits because such insertion was undertaken only after the consideration by it. It noted highhandedness on part of SEBI in handling the present case, showing haste in disposing off the consent applications and then thereafter allowing the inspection of documents. The Tribunal observed that although, Section 15T(2) of SEBI Act stipulates that no appeal would lie before this Tribunal from an order of SEBI made with the consent of the parties, it is apparent that the bar is restricted to an order passed on merits of the consent application and would not apply to an ex-parte order passed in breach of the principles of natural justice. Argument of SEBI that rejection of consent application has not caused any prejudice to appellant and that appellant is entitled to raise its grievances in the regular proceedings was also considered to be without any merit. SAT observed that inordinate delay on part of SEBI to give inspection of documents and thereafter disposing of the consent application even before giving full inspection of documents has not only caused prejudice to appellant but also led to miscarriage of justice. It was asserted that by rejecting the consent application even before giving full inspection, SEBI has deprived the appellant from demonstrating that in the facts of present case, the dispute needs to be settled by consent mechanism. The Tribunal observed that in respect of transaction that took place in 2007, appellant is made to face litigation in the year 2014 which according to appellant could have been avoided in public interest by giving an opportunity to the appellant to pursue consent application provided inspection of all documents were given before rejecting the consent application instead of giving it after disposal of consent application. Accordingly, SAT held that SEBI was not justified in rejecting the consent application without giving an opportunity to the appellant to present its case for settlement of the dispute. The dispute is concerned with the sale of approximately 20 crore Reliance Petroleum Ltd. shares by RIL in November 2007. After investigation, SEBI issued show cause notice wherein it was alleged that the appellant in collusion with other entities connected to it, sold approximately 20 crore shares of RPL in the cash segment with a view to depress the settlement price in the Futures and Options segment and thereby made illegal gain of ` Rs. 513.12-crores on the short positions. While this show cause notice was pending, RIL filed consent petition which was later rejected by SEBI. Thereafter, instead of adjudicating the show cause notice, SEBI reinvestigated the matter and issued fresh show cause notice on December 16, 2010 by superseding earlier show cause notice dated April 29, 2009. RIL then raised objections on ground that reinvestigating the matter without hearing the appellant was bad in law and that the new show cause notice replaces previous show cause notice in its entirety and raises new issues which were not part of previous show cause notice. Before discussing consent proposal by and between RIL and SEBI at the Internal Committee meetings, RIL insisted on seeking inspection of documents referred to in show cause notice, as also basis on which reinvestigation was carried out. However, RIL was informed by SEBI that request for inspection of documents was not tenable in consent proceedings. When such documents were furnished in November 2012, after almost two years of making the request, RIL sought time before the IC meeting for proper inspection of documents. However, an ex parte order was passed rejecting the consent petitions on the ground that the High Powered Advisory Committee, considering the seriousness of the charges, recommended against settlement. RIL contended that even though the consent circulars of SEBI list out certain defaults which cannot be consented, but it empowers the HPAC as well as the panel of WTM’s of SEBI to settle any of the defaults. Mr. Khambata, Advocate General appearing on behalf of SEBI submitted that the procedure framed by SEBI does not contemplate any appeal on the consent application. He submitted that the appellant cannot compel SEBI to settle the dispute as the appellant does not have vested right to insist that the dispute should be resolved by way of consensual settlement. It was also alleged that RIL was using delay tactics by demanding irrelevant documents. This argument was considered as being without any merit by SAT and stated that in the facts of present case, SEBI in fact has stalled the proceedings by taking more than two years to give inspection of documents and appellant cannot be said to have stalled the proceedings by seeking inspection of documents. Once a subsidiary of Mukesh Ambani-led Reliance Industries Ltd (RIL), IPCL used to be a separately listed entity of the group, but was later merged with RIL and delisted from the stock exchanges. SEBI notified the new consent norms on January 9, 2013, after issuing the draft regulations in May 2012. Under the new norms, SEBI excluded cases involving larger amounts or fines from the settlement process. Hence, the appeal was considered non-maintainable.